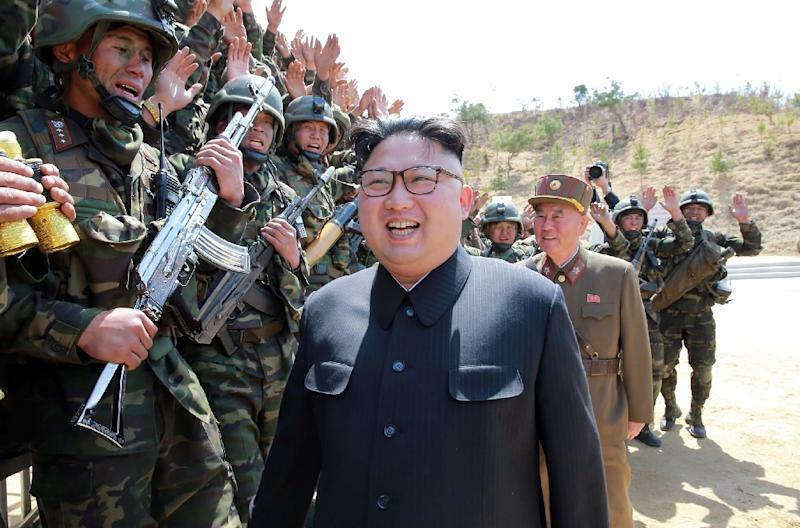 Seoul (AFP) - North Korea warned Monday that it will carry out a nuclear test "at any time and at any location" set by its leadership, in the latest rhetoric to fuel jitters in the region. It raises the tone of its warnings every spring, when Washington and Seoul carry out joint exercises it condemns as rehearsals for invasion, but this time fears of conflict have been fuelled by a cycle of threats from both sides. The joint drills have just ended, but naval exercises are continuing in the Sea of Japan (East Sea) with a US strike group led by the aircraft carrier US Carl Vinson. The Pyongyang foreign ministry spokesman said if the North was not armed with "the powerful nuclear force", Washington would have "committed without hesitation the same brigandish aggression act in Korea as what it committed against other countries". The statement reasserts the North's long-running rhetoric on its military capabilities. Seoul also regularly warns that Pyongyang can carry out a test whenever it decides to do so. Pyongyang's latest attempted show of force was a failed missile test on Saturday that came just hours after US Secretary of State Rex Tillerson pressed the UN Security Council to do more to push the North into abandoning its weapons programme. Tillerson warned the UN Security Council last week of "catastrophic consequences" if the world does not act and said that military options for dealing with the North were still "on the table". In an interview that aired Sunday on CBS television network's "Face the Nation" programme, Trump said that if North Korea carries out another nuclear test "I would not be happy". Asked if "not happy" signified "military action", Trump answered: "I don't know. I mean, we'll see."